From the original trilogy, check out effects like Vader’s Revenge, Lightsaber Fight, and AT-AT Smash. 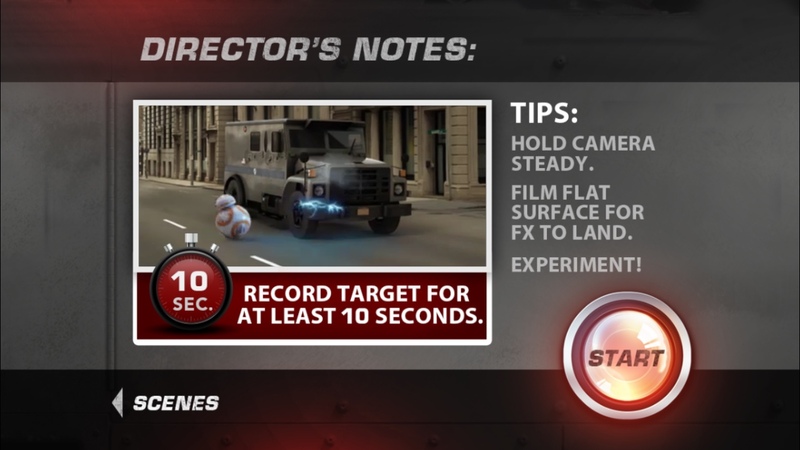 And from the new movie, effects include Falcon Battle, BB-8 Spark, BB-8 Escape, and BB-8 Surprise. You get the BB-8 Spark effect to check it out and can then purchase other effects within the app. 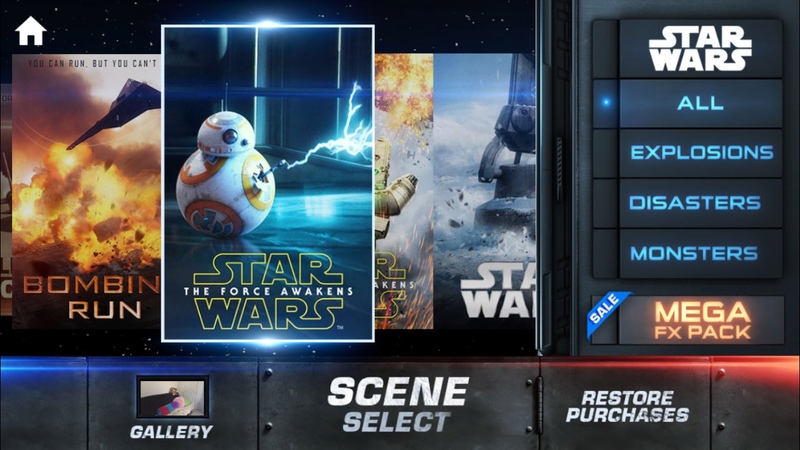 For some added incentive, the creators of the app, Bad Robot Interactive, will donate 100 percent of the sales price of the Star Wars packs purchased to support UNICEF Kid Power from Nov. 5, 2015 to May 5, 2016. Action Movie FX has plenty of other spectacular special effects that you can add to your recordings. You can launch a powerful missile attack in your backyard, bring a gigantic spider strike to your party, or create an overwhelming avalanche in your living room. With support for Apple Watch, you can even star in your own movie. Action Movie FX has some of the best effects for creating video I have seen. 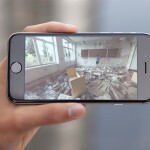 The app is extremely easy to use and you can save your creations as GIFs or share movies via text, email, or social media. 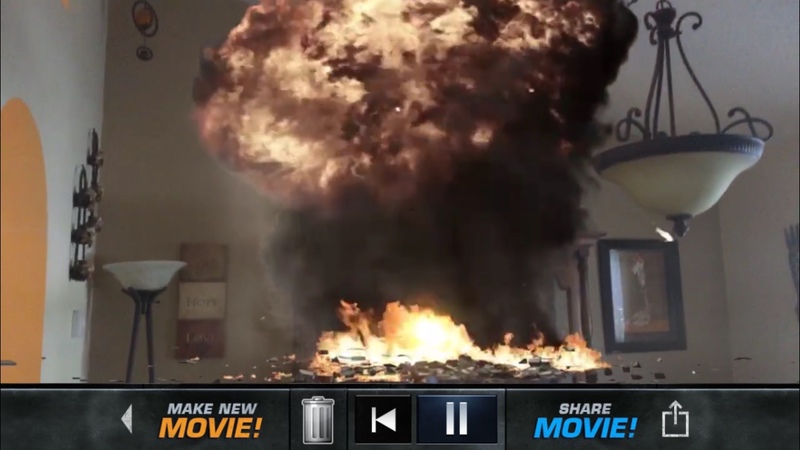 Both the visual and sounds are truly amazing and the app makes movie-recording a lot of fun. 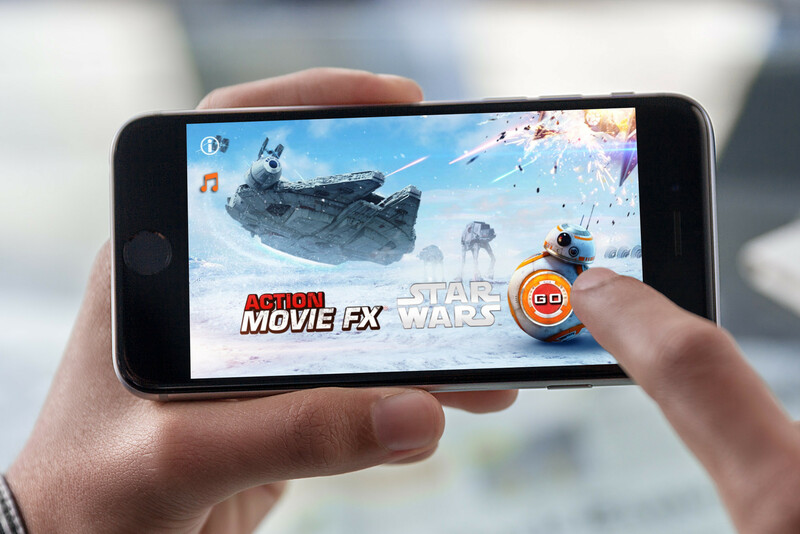 Action Movie FX is compatible with iPhone, iPad, iPod touch, and has Apple Watch support. The app is available for free and in-app purchases for specific packs are just $0.99. In other news, check out Powerful treasures are the name of the game in Lost Horizon or Immerse yourself in compelling stories with NYT VR.